Allorna thought being a hereditary guardian meant an automatic posting with the royal family. Instead, she’s assigned to Petty Larceny–which has its moments, especially when she engineers a jailbreak and finds herself on the run from her colleagues. With healer trainee Sidimo in tow, she sets out to save Maride, a young mage unjustly accused of murder. But now she has to clear her name as well. Easier said than done, especially when they accidentally enroll at the Red Madrassa, a legendary school of magic. 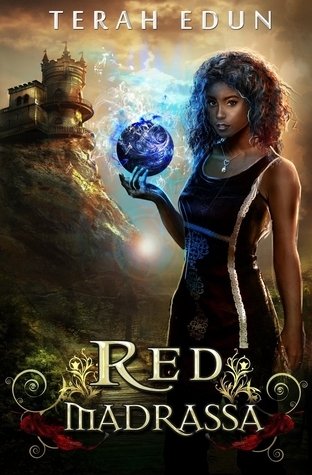 Blog Tour: Red Madrassa Excerpt & Giveaway! Hello everyone and welcome at my stop of the Red Madrassa Blog Tour! The Madrassa, a magical school for mage practitioners, is the stuff of legend. With selective entrance exams and quotas for only the most advanced of mage children, it’s almost impossible to attend. Sitara had been ignoring them. She was focused on the School of Air, where she could see with her own eyes the students—normal, un-winged students—actually flying. Not very far, but honest-to-gods flying. There was an open round balcony on the second flower of the Air Tower. From there, students were launching themselves from the balcony with what looked like microbursts of air. There were robed Initiates stationed on the ground and in the Air to make sure their launches where successful. Will I be able to do that? she wondered. Sitara, still silent but now in shock, indeed saw the same thing. Cartilaginous wings sprouted from the man’s neck to his lower back, rooted in his shoulder blades. White wings. Huge white wings. Vedaris gulped and tried to remain calm. Vedaris forbore rolling his eyes, thinking, Of course he dreckin’ is. What else looks Human but has huge white wings? He directed his next comment to Vedaris: “Young man, here is your first formal lesson. Seeing is not always believing. Good day to you both.” And then he turned and walked towards the towers. Click to enter the giveaway! 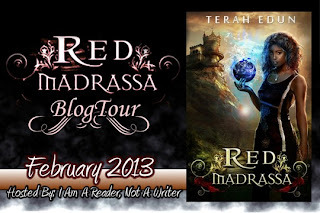 Posted on 24 February 2013 15 February 2013 Categories Blog ToursTags Blog Tours, Books, Terah Edun, Young AdultLeave a comment on Blog Tour: Red Madrassa Excerpt & Giveaway! 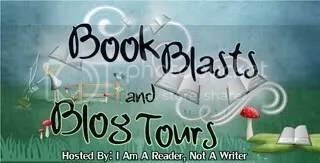 Blog Tour: Red Madrassa Blast & Giveaway! Hello everyone and welcome at my stop of the Red Madrassa Book Blast! Posted on 12 February 2013 12 February 2013 Categories Blog ToursTags Blog Tours, Books, Terah Edun, Young AdultLeave a comment on Blog Tour: Red Madrassa Blast & Giveaway!